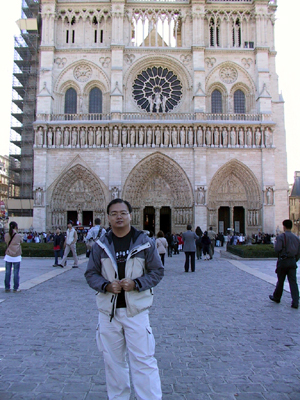 Today, we decided to go for a Paris City tour which includes, the Notre-Dame Cathedral and the Lourve Museum in the morning and a cruise of the Seine River and Eiffel Tower in the afternoon. 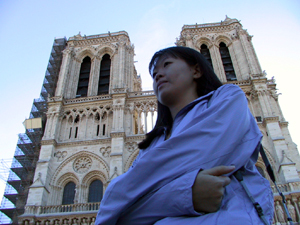 Just by looking at the photo, you should know that we have arrived at the Notre-Dame Cathedral. This place is really very serene and gives one a very comfortable feeling when you are inside the Cathedral. Another thing that this place reminds me of is the cartoon, the Hunchback of Notre-Dame. 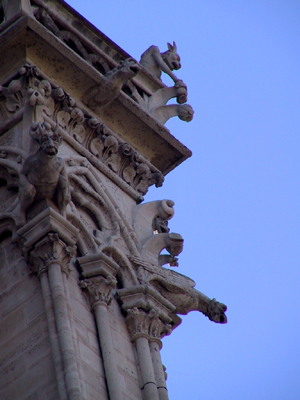 Up the entrance of the Notre-Dame Cathedral, there is this interesting statue craved on the walls. 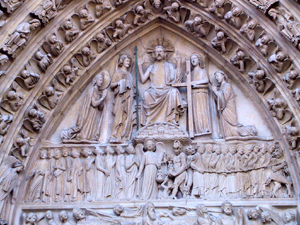 It shows the souls of the dead being dragged out of their tombs and sorted into good/bad for proceeding into heaven or hell. Look how grand the cathedral is. Unfortunately, the scaffoldings spoilt the photo. A try at an "artistic" shot. 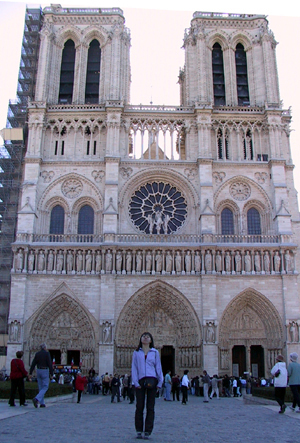 Notice how my dressing today complements the Notre-Dame Cathedral. We went for a "quiet walk" inside the Cathedral. You are not allowed to talk loudly inside the Cathedral as there are people praying inside. 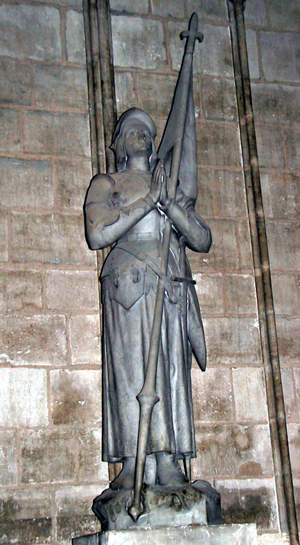 One of the statue at the side of the Cathedral. 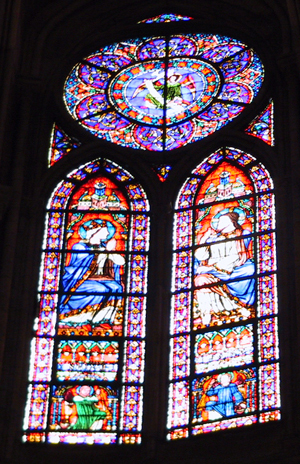 Part of the Cathedral has these nice stained glass on the roof. Some of them are reproductions as most has been destroyed in the past. If you notice, some of these shots are blur due to "camera shake" as I mentioned, tripods are not allowed in a lot of places.